In my previous discussion of Charles Wadsworth Camp, I mentioned that several of Camp’s books later became films. I hope to track down all the movies and watch them, if possible. 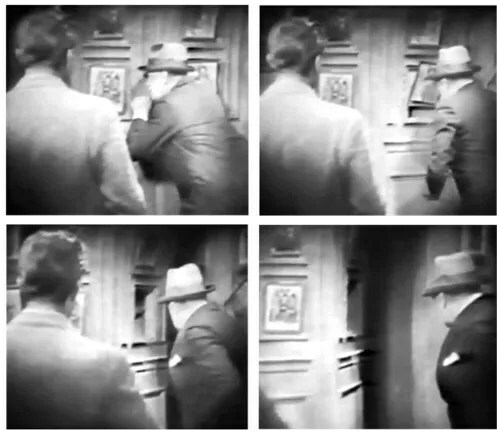 Last night I watched the very entertaining silent murder mystery, The Last Warning (1929, Universal Pictures). Based on Camp’s novel, The House of Fear (1916, Doubleday), this was the last picture directed by the gifted Paul Leni, known by film buffs for directing the classic old-dark-house movie, The Cat and the Canary (1927, Universal). Unfortunately, Leni died of blood poisoning at the age of 44, the same year Universal Pictures released The Last Warning. In 1922, actor/playwright Thomas F. Fallon wrote a stage play based on The House of Fear but changed the named to The Last Warning. 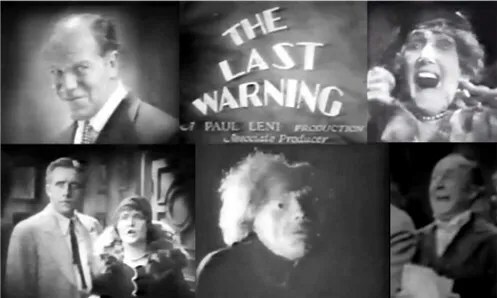 Alfred A. Cohn wrote the screenplay for the 1929 film, also called The Last Warning. Another movie version of the book came out in 1934 using the original book title, The House of Fear, not to be confused with a 1945 Sherlock Holmes movie of the same name.